Adams Golf initially specialized in custom fitted golf clubs when it launched in 1988. The expertise of its founder, Barney Adams, led to his being selected as Manufacturing Entrepreneur of the Year in 1999. Whilst Adams Golf was acquired by Taylormade Adidas Golf in 2012, the reputation of Adams golf clubs remains high. Every golfer, whether they are a Tour professional or a high handicapper, is looking for easy to hit clubs for lower scores. Adams has the reputation to help you play your best game. The Adams Tight Lies newest hybrid technology offers consistent distance, swing after swing, providing similar distances as hard to hit long and mid-irons, but with a more forgiving nature. If you struggle hitting long irons, this is a great addition to your golf bag. The Adams Tight Lies Hybrid is suitable for all players, including seniors, ladies and good junior golfers. The Adams Tight Lies Hybrid comes with the Mitsubishi Rayon Kuro Kage graphite shaft (65 gram), Adams standard grip and head-cover. The KuroKage hybrid shaft fits what Mistubishi call their ‘smooth’ profile. This means the shaft is softest at the tip, softer in the mid-level and stiffest at the base. The Adams Tight Lies hybrid is a medium sized hybrid. This club has slots on the crown and the sole, something the Adams brand is known for, but the top slot is hidden. This concealment is so impressive it’s appropriately named Ghost Slot Technology as if you didn’t know it was there, you wouldn’t notice it. The sole of the hybrid has an updated cut-through slot that helps increase loft and lift. 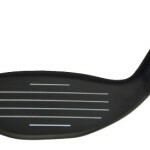 The tri-bevel shape creates a large impact area for higher launching shots. The ladies club has a silver-coloured head and blue shaft. The general club has a black head and blue shaft. The stiff head cover is black and blue for the standard club and cream and blue for the ladies club. From the start, the sound and feel of the Tight Lies hybrid is remarkable. This club feels solid like an iron rather than a wood. The impact sound is quiet and low. You’ll know when you’ve hit a thin shot, but thanks to the Ghost Slots impressive handling of mis-hits, it’s not so easy to feel when you’ve made a fat shot or other horizontal misses. The Adams Tight Lies hybrid has the benefit of higher ball speeds and increased forgiveness. The hybrid consistently maintains ball speed whether the swing contact is good or bad. A consistent ball speed creates predictable distance every time. Research indicates that lighter shafts such as the 65 gram shaft in this hybrid, are better for the average golfer since weight produces shots of greater distance and accuracy. The Tight Lies hybrid will also get the ball up in the air whether the contact is good or not. This is particularly helpful when dealing with tough lies or for those who have a tendency to hit their long clubs thin. 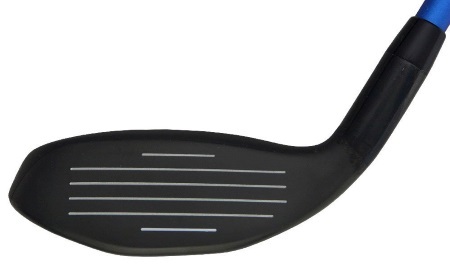 The Tight Lies hybrid also improves performance on windy days as it is low spinning like a fairway wood. Expert reviews show that with several different shots the result was much better than the swing deserved, with a slightly higher launch and a little less spin than other similar clubs. The Mistibushi Kuro Kage hybrid shaft is deemed to be the best in the companies range. Get Adams Tight Lies Hybrid Now!